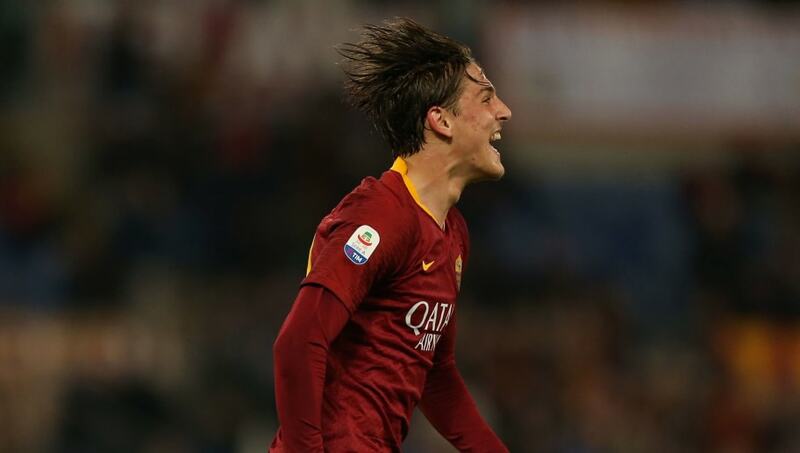 ​Bayern Munich are targeting Roma's highly rated midfielder Nicolo Zaniolo as the club prepares to continue its major summer overhaul. News on Bayern's interest in Zaniolo comes courtesy of German publication ​Bild, who claim the ​Bundesliga side will need to cough up a fee in the region of €50m if they are to secure the 19-year-old's signature in the summer, with the teenager reportedly keen on the move ahead of other European sides. Technically gifted and attack-minded, the Italian is seen by ​Bayern as someone who can add drive going forward from his advanced midfield role, but has also been equally adept featuring on the right wing this season. It's well known that this coming summer is set to be one of major change for Die Roten, who are also in the market for a defensive midfielder and a striker to offer competition for Robert Lewandowski. The future of Timo Werner remains undecided, although the forward is tipped to join the Bayern revolution, rumours that were intensified after ​​RB Leipzig CEO Oliver Minstzlaff revealed the forward is unlikel​y to sign a new deal at the club. Should Zaniolo make the move to Germany next season, it would raise doubts over the future of James Rodriguez, who is currently on loan at the club from ​Real Madrid.